Have you ever experienced paddling on a Paddle Surf table? This is like walking over the sea. Come on and try it! 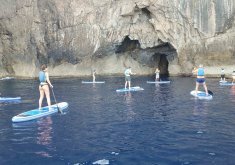 Paddle Surf or Stand Up Paddle is considered one of the most complete water sports because it allows you train practically all your body and it developes the stem muscles and the natural reflex balance. 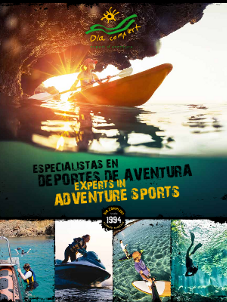 After the demanding from out customers, we have designed this paddle surf trip, combined with caves and cliffs. This is an amazing activity that we are you you'll recommend! Would you like to learn sailing with Paddle Surf?